I use Asana – a wonderful productivity enhancing, program management app. Asana is entrenched as part of my everyday ritual. I can’t imagine living without it. Yet, like most other habits, my relationship with Asana is largely back of mind. The app is an important tool, but I rarely consciously think about it. 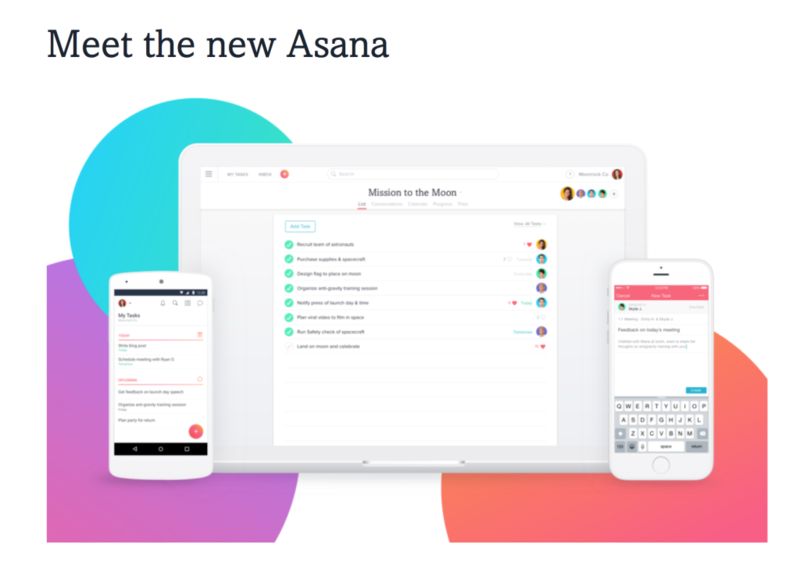 This week, Asana launched a very well done refresh, including a fresh new logo redesign. Interestingly, the net effect brought the brand front of mind for me again. I was reminded how central Asana is to my everyday work life. I went to the blog and the website and discovered new features that are even more helpful. I learned and appreciated more than I have in the past year. The brand refresh helped renew my relationship. My experience with Asana is very similar to that I have with Apple and other important brands. A software or hardware refresh often has the same impact. I learn more. I’m reminded of how important the brand is to my everyday life and I recommit to the brand again. Given my ADHD, that all lasts just a few days. But, the impact is extremely powerful. All of which leads me to believe that brands should think differently about how regularly to refresh. Conventional wisdom suggests a five-year refresh cycle, at the minimum. I think that dated advice is no longer helpful. Instead, I’d be looking to refresh some element of the customer experience twice yearly to keep customers actively engaged with your brand. This doesn’t mean taking steps as dramatic as those taken by Asana. But, it does mean being much smarter and more aggressive in keeping your brand front of mind with your core marketplace. I’d start today to craft a regular refresh plan and roadmap. Begin with an assessment of user experience needs and opportunities. Then craft a plan with logical stages – from regular clean-up to transformative regeneration. The return will more than offset the effort. I spent yesterday in an all day session kicking off a new partnership between two premier firms. Our mission was to begin the process of positioning and marketing a new product offering that will be the basis for the partnership. Lots of branding strategy and design work had been accomplished in the past year by one of the partners as a prelude to finding the right strategic partner. We spent the morning reviewing that work to determine our go forward plan. This review was quite enlightening. The new brand has the potential to be quite distinctive in the market – in spite of the strategy it was designed to fulfill. Fortunately, the business users leveraged the inspirational quality of the new brand identity to forge delivery strategies that have the potential to ladder up to a compelling overall brand strategy. But, the strategic platform that led to the actual creation of the brand revealed what can happen when so called branding experts build strategies that are disconnected from the reality of business. Yesterday’s session highlighted three common flaws I regularly see in branding strategies that are not fit for purpose. All too often, branding strategies are developed against a state of the moment understanding of the business. Positioning plans are developed relative to a real time assessment of competitor strengths and weaknesses and market psychology. Decisions are made. Stakes set in the ground. And then … everything changes, and the strategy is no longer relevant. True experts in branding must understand the flow of the business, psychology and market dynamics. Strategies must be designed to anticipate transformation through new entrants, new technologies or competitor turnarounds. That’s hard. Scenario planning makes it easier. By charting possible scenarios and building a strategy that embraces the broadest range you can make sure your brand strategy is future proof. Re-assessing on an annual basis and morphing as needed adds additional protection. Alternatively, you can forgo “strategy” in favor of what my friend Jim Little and I have coined, “tactical opportunism.” In this case, you build your branding platform to capitalize on in the moment advantages and then constantly morph the platform to maintain advantage as customer psychology and market dynamics continue to evolve. This form of “branding chess” requires true market understanding and nimble response, but it is often the best tactic to stay ahead in fast changing, quickly transforming markets. We’ve all read the articles and listened to the gurus – effective brands must forge emotional connections in order to thrive. While this is surely true, our problem lies in how so brand practitioners believe that emotional connections are forged. Unfortunately, conventional wisdom defaults to a fallacy where emotional connections are the Holy Grail and rational connections are simply category antes. This widely held fallacy ignores customer psychology and disregards the new engagement process that shapes consumer, b2b and b2b2c markets today. Powerful relationships are built on the emotional connections that are forged through the process of fulfilling rational needs. Today’s engagement process has become highly rational. No matter whether we’re purchasing a car or a cloud computing solution, we do our homework, listen to the experts, evaluate, test and hone our understanding as we move closer to a solution. As our rational thresholds are satisfied, emotional attractions begin to form. In the process, we finalize our decisions based upon what we believe the offer will do for us, fit into our life and make us feel. Rational and emotional drivers are inextricably linked with rational drivers serving as the gateway. You can’t build sustained emotional connections without satisfying rational thresholds. No matter how good the product makes me feel, I’ll never love it if it doesn’t work for me. Again, all too often, what is passed off as brand strategy ignores the obligation that effective strategies have to fuel marketing and CRM. The brand is presented in isolation with the expectation that others will pick-up the baton and develop the required marketing and customer experience plans. Sometimes this works out, as was the case yesterday. Unfortunately, more often than not, it results in diluted effectiveness and lost opportunity. My experience since founding Catalyst has taught me that branding, marketing and customer experience must be inextricably linked in order to drive business success. 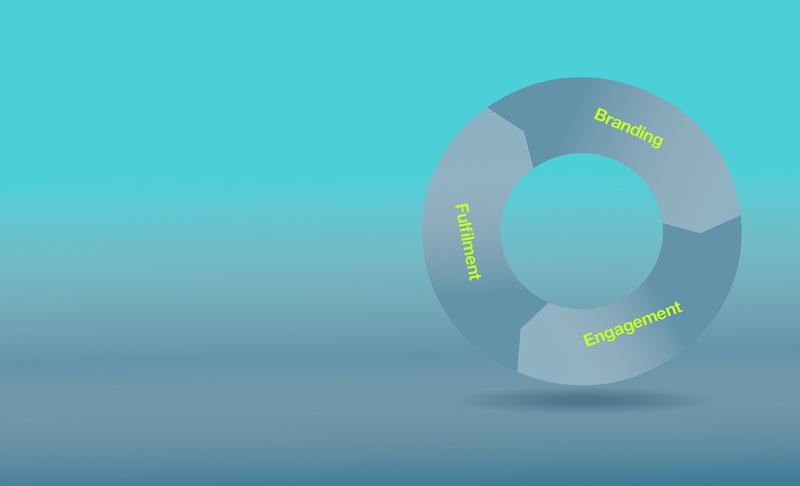 Branding strategy must fuel engagement and define the imperatives to be delivered throughout the customer experience. It must highlight touch points and content to be leveraged in the process of managing to purchase and it must define standards for behavior and interaction that help manage from purchase to advocacy. True experts understand that branding, marketing and customer experience are all linked. When they are, effective strategy can actually drive demand and influence success. During my long career at Interbrand, my colleagues and competitors operated under the misconception that branding was the center of the universe. All we needed was to build a strong brand for a client and their business would grow dramatically. Unfortunately, reality proved us wrong. I spent the last two months working intensely with four great companies to catalyze growth and in not one of the cases were we focusing on making the brand stronger. We’d done that already, quite successfully in each case. Instead, we were focusing on building plans and programs to build stronger engagement with, and more effective fulfillment of, the core brand promises we put in place earlier. Since we launched Catalyst three short years ago, it is compellingly clear that branding is necessary but insufficient in and of itself for managing demand. Instead, we must simultaneously master three integrated challenges – branding, engaging and fulfilling. Effective branding establishes the foundational promise. We provide a solid platform for growth by articulating “who” the brand is, “what” it does and “why” it does it. This process matches the brand’s distinctive skills with the needs of its target audiences to articulate a promise that is relevant, credible and distinct. We use all of our finely honed skills to define the brand’s personality and reflect it through a unique communication style using both verbal and visual cues, managed consistently across the wide array of touch points the brand uses to communicate with its targets. Engagement is the process of managing the customer’s journey from the initial need or desire that triggers the demand, through the search and evaluation process to the point where the purchase decision is made. Here, success is predicated on understanding the steps of the journey, the key milestones in the process and the touch points consulted to make decisions along the way. This process has transformed dramatically with the rise of the internet and social media. Gone are the days when a brand could assume success by shouting through advertising and then selling hard with face-to-face interaction. Today b2b and b2c customers move through a thoughtful process of learning, evaluating and deciding that is best fueled by well placed information and well-timed problem solving. Opinions of key influencers, from friends to experts; company owned, influencer sponsored or retailer provided web sites; social media, including Facebook, LinkedIn, Twitter, Google +, Pintrest, Tumblr, Instagram and Yelp; PR; and events are all critical touch points that need to be evaluated and used effectively to engage and guide targets through the process of making the decisions important to your brand. This fresh understanding of the engagement challenge has influenced the creation of a new discipline – inbound marketing, elevated the importance of strong informational content and given rise to wide array of marketing tools and skills, including marketing automation and lead management, search engine optimization, and influencer relations. Used well, these tools provide us with the skills to better manage the engagement process and the insight to understand quickly what is working and what is not working in the mix. We can now optimize for effectiveness and make the brand work harder than ever before to build rich and rewarding relationships. Branders and marketers are only now appreciating the need to closely manage the process of fulfilling the promise once the target is actually engaged. Delivery is more important than ever today because targets are constantly testing and revisiting their purchase decisions as they bring the new product or service into their lives. Fulfillment involves understanding and managing the process that customers move through once they’ve made the decision to purchase, from initial integration, installation and testing through ongoing usage and the decision to commit to the product, service and brand. Again, rich informational content and effective problem solving drive success in this process. The key touch points are very similar to those used in the engagement process, but they are used differently once the purchase decision is made. Here the emphasis is on enablement as customers seek ways to get more out of what they’ve purchased by themselves. It is also important to establish a safety net with opportunities for interaction should the challenge be more difficult than individuals are capable of managing on their own. Effective enablement and support helps to validate the purchase decision and in the process helps to forge a more fulfilling relationship with the customer. Fulfilled customers buy more from a brand. They also tell others how fulfilled they are, which in turn influences engagement with new targets and helps make the brand stronger. It’s a self-renewing cycle. The beauty lies in the fact that all through the process we can gather feedback, learn and refine to ensure that we’re making it better and better all along – improving the value of brand, engagement and fulfillment as integrated demand management tools. With these three important tools, we can manage and grow demand. Handled separately, these tools are only limited in their ability to assure the desired result, but managed together as an integrated whole we can assure that we’re doing what’s necessary to spur growth. There’s no question that to be effective, you need to start with a strong brand, but that’s not enough for managing demand. Don’t let any consultant advise you that it is. Work on all three together and you’ll make the impact you desire. Recently one of my favorite clients asked me a very simple question. Did I have an example of a good brand dashboard? The answer was no. After all the years and all the work, I had yet to come across any brand dashboard that I thought was worthy of sharing with her. So I went to work to answer her question. 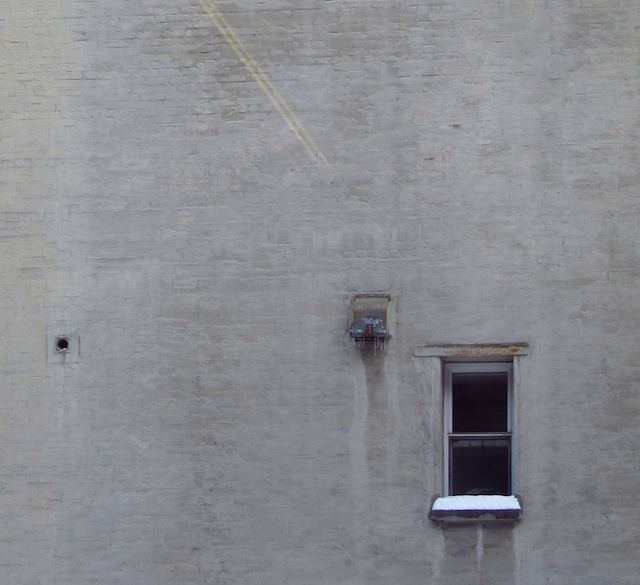 I’ve long been interested in the notion of measuring marketing effectiveness. But, most measurement approaches seemed quite theoretical and disconnected from the normal flow of marketing activity. Then I had the chance to work with good friends at Adobe to integrate their recently acquired Omniture analytics business with their leading marketing and creative suites and for the first time I could see a clear pathway to practical value. The needs we uncovered then very much apply today. Marketers are looking for tools to help measure the effectiveness of the plans they’ve put in place and importantly, give them insight as to how they can make those plans more effective. A few marketers have sought to unpack NPS to understand the factors contributing to their score. A previous client determined that NPS for them is driven by three factors – brand relevance, authenticity and understanding. They measure these and provide quarterly data for each dimension in addition to their overall NPS score. These approaches in their own right are leading to some modicum of success. But, with the exception of a few dedicated NPS loyalists, most of the people I spoke with are still looking for a better way. Connect marketing with the drivers of the business to be sure that marketing is in fact driving demand and influencing sales. This means understanding drivers of demand and measuring the degree to which marketing is influencing them. Toward that end, some have suggested that the most important measurement should be the amount of sales directly attributable to marketing. Measure both process and outcome. Process measurement has become quite sophisticated with new cloud tools like Google Analytics and specialized resources such as Marketo. But as important as it is to measure process effectiveness, without a clear sense of the outcome being produced, you have no clue as to whether you are moving the business forward or not. The better way also needs to heed two important cautions I heard often in my conversations. In the process of measuring don’t lose contact with the customer. The power of the new tools for capturing and analyzing data does not mitigate the need for listening to the actual voice of the customer. Be careful not to overvalue what you can measure and undervalue what you can’t. This wise thought came from John Hayes who has served as CMO for American Express for 18 years. Quite a tenure, especially when you think of the fact that the average life of a CMO today is 18 to 24 months. Even though it is becoming more scientific everyday, marketing remains an art form. 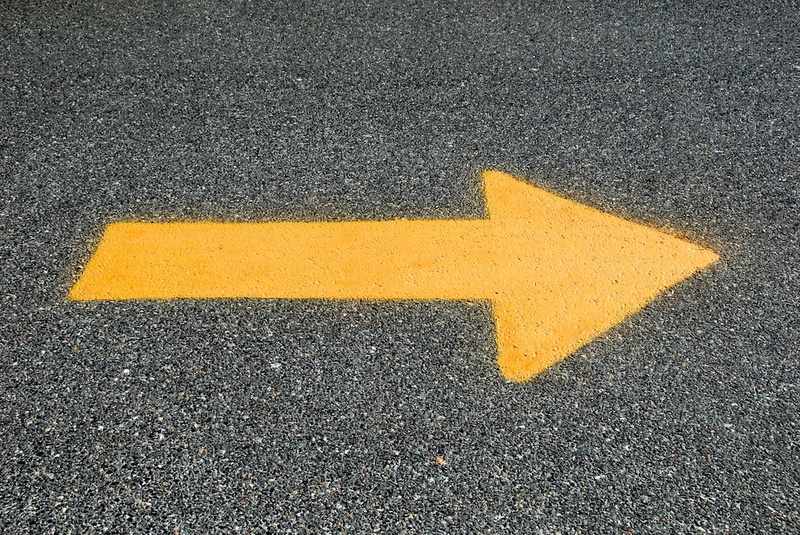 There is still room for intuition in creating and executing strategies. So there you have my thoughts. Please share yours. My Nike FuelBand stopped working last week. It’s kaput. After wearing it most all of my waking hours since I brought it home on St. Patrick’s Day last year, my right wrist is naked. I miss it. There’s quite a void. Normally when it comes to the technology in my life, such a loss would be cause for a minor celebration. When the old one breaks, there’s nothing stopping me from immediately running out and getting the newest model. The excitement of fresh new utility immediately replaces any sense of loss. Those who know me know that I rarely even wait for what I have to break. The draw of the new is so powerful that I often shelve technology that is working perfectly just to experience the latest and greatest. So why am I still sad? 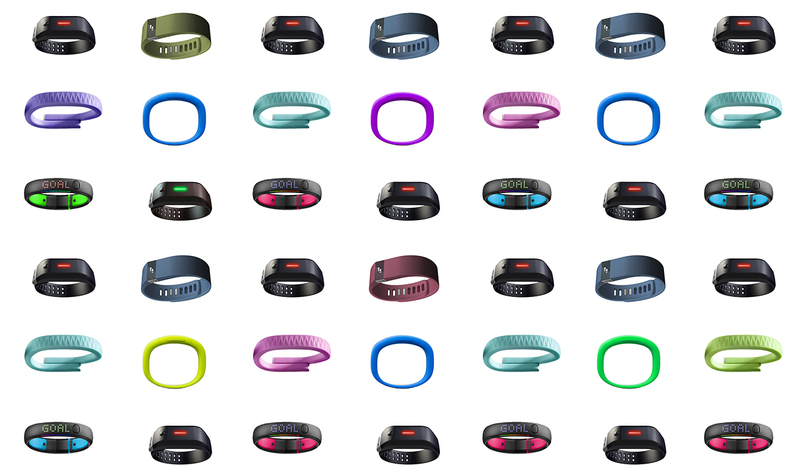 Well, the problem is there is no latest and greatest Nike FuelBand. The model I bought almost 2 years ago is the same model I’m forced to buy today. Sure, I have the choice of more colors, but the core utility I was so excited about on my first day is still the utility I would be buying today. In my world, that’s a reason not to buy. When Nike launched the FuelBand, I immediately jumped on the bandwagon. The device played an important role in my life. It helped me realize just how much of a slug I could be when I was working and it motivated me to get up on my feet and keep moving everyday. The daily pursuit of my “goal” helped reinforce my active behaviors and keep me healthier than I would otherwise be without it. From the beginning, I wore the band proudly and sang its praises to all who wondered why I was suddenly wearing a bracelet. I imagine over the past two years, I’ve contributed to the sale of two-dozen or more devices. I was madly in love and all who knew me, knew about my new favorite thing. That is, until my first anniversary last March. You see, I’ve been trained by Apple to enjoy a regular cadence of fresh new capabilities. I expected that Nike would refresh the FuelBand through regular software upgrades so that I could do what I was doing even better and importantly, could do even more to be healthier. I also expected Nike to realize the need to refresh the hardware on an annual basis to open the door to ever expanding utility, which in turn, would fuel my desire to rave even more loudly to anyone who would listen about how important the device was in my life. Unfortunately, the anticipated software and hardware upgrades never came. There are rumors of an impending new release, but so far there’s nothing tangible enough to confident in. So… today Nike is likely losing one of its most loyal customers. With the need to rethink the relationship, I’ve found alternatives that offer greater utility than Nike and there are several new devices coming to market that offer the potential to transform the value these devices deliver to us all. Brands, like all of our relationships, need to find ways to stay fresh and interesting in our lives. When they do, we remain very loyal, often in the face of significant competition. When they don’t, we’re open to consider alternatives that, in the light of more objective consideration, often prove to be superior to the brands we’ve been loyal to all along. In today’s world of consumer technology, software driven progressive innovation is the key to customer retention, relationship longevity and advocacy. Without it, even the strongest of relationships are destined to end. And when they do, it’s likely not just for a single product. Often it means unraveling a relationship across multiple products and categories. All of which dramatically reduces share of wallet and stifles growth. For Nike, that’s the case with me. Need to Work On Your Brand? Coaching May Be The Best Way to Go.